This workshop will provide practitioners with the opportunity to expand their understanding of the ABC Factual Division’s commissioning policies. Steve will also convene a Pitch Day at SAFC - Tuesday February 9th. Participants will be chosen in advance based on one page pitches. Selected participants will have a 15 minute pitch session with Steve. Steve is Head of Factual at ABC TV. In a diverse career, Steve has been a creative leader, executive producer, series producer, director, writer, newspaper journalist and author. Before joining the ABC in 2015, Steve was Executive Producer of Factual for the super indie CJZ. His production credits at CJZ include Great Southern Land and Two Men in China for the ABC, Hardliners and MegaTruckers for the A&E channels and true crime series Wanted for Network Ten. Before that, Steve established his own production company in Sydney and produced series including The Real Seachange. 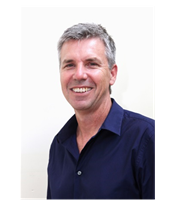 He also spent nearly a decade as a Nine Network producer and executive producer after working as a journo for Fairfax in Sydney and News International in London at institutions including the News of the World.